Our son Bart was sixteen when he suffered a severe TBI (traumatic brain injury). He was a passenger in an auto accident. I became Bart’s caregiver on January 29, 2001, the day of his accident. My wife, Dayle, and I were and remain Bart’s main caregivers. We remain involved in Bart’s life, but he has now progressed to semi-independence. He resides in his own apartment an hour and half away. We visit and break bread with him every Sunday and on holidays. We participate actively with his “team,” made up of a Benefit Coordinator (a certified specialist or a social worker who is an advocate for the survivor, a CIC (Community Integration Counseling) counselor, and an ILS (Independent Life Skills) trainer. My wife and I were responsible for our eleven-year-old daughter, Cassidy. I was Director of Human Resources at a medium-sized company. I was lucky enough to be able to take whatever time was needed to care for Bart, especially while he was in the acute phase. My wife, Dayle, worked at home as a Reiki Master. She stopped most work to care for Bart. My and my wife’s support began immediately in the hospital. Yes. Bart was in a coma for 30 days. Dayle and I were at his bedside. Bart’s injury was very severe – 30-day coma, nine-month rehab, and then years at home reintegrating. He struggled with the full gamut of intellectual, physical, and emotional deficits that come with a severe TBI. 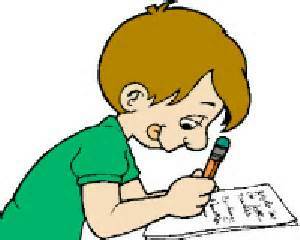 Gradually, with time and alternative therapies, these struggles have eased very considerably. Today Bart lives semi-independently, in his own place, with a part-time job, and with new fiends. He is moving on with his life. Our focus for over a decade was almost entirely Bart-centric. Pastimes were eliminated (e.g., Taekwondo) and volunteer activities were diminished. (I was president of our local branch Y at the time of his accident, but I resigned shortly after.) People we were accustomed to seeing regularly (especially Bart’s friends and their families) dropped away. We were angry about the friends moving on with their lives, but eventually we forgave and moved on too. Life is both better and worse, in different respects. I miss old hobbies, sports, travel, and activities that have been shelved in order to be more focused on essentials. My life is more simplified and focused. I have a new sense of mission and compassion. We have founded the BART Foundation (Brain Alternative Rehabilitative Therapies) – a 501(c)(3). I dislike the timeline – Bart’s recovery from his TBI will be a lifelong challenge. Some issues, like perseveration, are terribly stubborn. I have been helped by the usual suspects: faith, hope, love, humor, music, family, friends, and fun. We’re all walking-wounded in some ways – reminiscent of PTSD (post-traumatic stress disorder). The caregiving life can often be isolating. We have formed the BART Foundation (Brain Injury Rehabilitative Therapies), a 501(c)(3) educational charity. The mission of The BART Foundation is to promote better outcomes for brain-injury survivors by answering three questions – which alternative therapies are likely to work, where can they be found, and how can they be afforded? Our best advice to caregivers is succinctly summarized in this article. “When the Dust Finally Settles: Strategies for the Long-Term Caregiver,” published by Brainline. 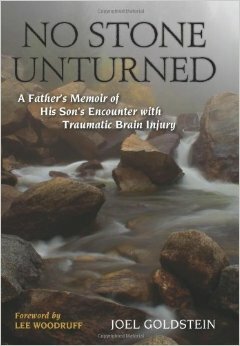 No Stone Unturned: A Father's Memoir of His Son's Encounter with Traumatic Brain Injury"